Find out how SMG can provide pastoral care and support for your school community through a Chaplaincy Service – contact the SMG office 08 8378 6800 or submit an enquiry here. ‘Chaplains’ have been working in SA schools since 1986. 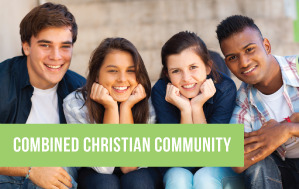 Schools Ministry Group was formed in 1991 to coordinate and facilitate Christian Ministry in SA Schools, including the oversight of the Chaplaincy program, when the heads of 11 Christian Church denominations collaborated to offer support to school communities. The number of Chaplain positions grew to 150, funded by the combined Christian community until 2008. The Federal Government then offered extra funds to support the program under The National School Chaplaincy Program. The program then became a joint venture, with funding contributions from the churches as well as the Government for Christian Pastoral Support Workers in about 310 schools. The program was extended through the National School Chaplaincy and Student Welfare Program in 2012 and continues as the National School Chaplaincy Program in 2015-2018. We recognize the ongoing generous contribution by the combined Christian community, as local churches continue to raise additional funds or in some cases provide the total funding for Pastoral Care Workers in their local schools.